Living with a chronic condition like COPD can be extremely challenging and stressful at times. From managing symptoms and treatment plans to interacting with loved ones and friends, there is a great deal to manage, which can cause obstacles in daily life and relationships. While people may experience stress in different ways, and even the causes of stress can vary from person to person, one thing that remains the same for mostly everyone when coping with COPD is that it can be extremely helpful to make use of stress management techniques. So, what are some helpful ways to deal with stress? Different methods work for different people, so it can be useful to experiment with various techniques until you find one that feels best for you. It can be like an experiment in trying new things! If, however, you are someone who doesn’t necessarily like trying new things, that’s okay too – in that case, you might want to introduce one small, very low-key initiative at a time, and see if it feels right. If it does, you will enjoy continuing to do it, and can always add something else later, if needed. If it doesn’t feel right, you can quit any time and move on to another activity that you might enjoy more. Try not to be hard on yourself – and make sure to give yourself lots of pats on the back for every time you try something new that’s good for you! It’s something to be proud of – plus, acknowledging that you’ve done something good for yourself can be that much more of an incentive to keep doing it. Before we get into specific activities, one way to deal with stress that many people with chronic conditions find helpful is adding complementary therapy to the COPD treatment plan you are already using from your physician. Examples of complementary therapies for COPD include: nutritional supplements, herbal treatments, and antioxidants. (Please note: it is very important to let your doctors know about any and all supplements you are thinking of taking, before you try them. The reason is that certain supplements can interact with some medications in a way that may cause side effects, or impact the way the medications work. It is also possible to overdose on vitamins and supplements by taking too much. This can cause very serious health problems.) This page provides more information about such complementary therapy as supplements, herbal treatments, and antioxidants, if you are interested in exploring these options further. In addition to complementary therapy, seeing a therapist to supplement your mental well-being can also be a wonderful form of support when going through the challenges of COPD. It can be extremely helpful and even gratifying to bounce ideas off someone who not only has an unbiased perspective, but who is trained in the art and science of how our minds work, and how we can use that to our advantage. There’s a saying that our mind can be our best friend or our worst enemy. Why not give yourself the gift of science-based techniques for making our brain and habits work for us, instead of against us? Now onto specifics! Trying to think of other ways to reduce stress? Take a peak at this list and see if anything sounds good to you. Once you give it a try, let us know how it went! Reminiscing about something fun, funny, or even ridiculous! If it brings a smile to your face, it’s doing the job! Additionally, getting support from other people who “get it” can be extremely validating, as well as its own form of stress relief. When it comes to coping with the emotional and practical challenges posed by COPD, the old adage “there’s strength in numbers” can really ring true. 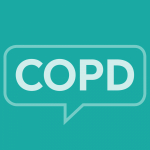 When you have a COPD support group, you benefit from the strength, experience, knowledge, and connections of many people who are facing similar challenges to you. A support group can be a particularly useful way to talk about the stress that can accompany living with COPD. Not sure what to expect? The leader of the support group may be an experienced health professional, like a nurse, doctor, psychologist, social worker – or even a member of the group itself (these kinds of groups are sometimes called self-help or peer groups). Even if you think of yourself as an independent, rugged type of person, there are several practical benefits you can receive by participating in a support group. For instance, other people in the support group may be aware of the latest information on treatments and other developments in COPD research that you might not yet have heard about. You can also obtain a lot of useful information by comparing experiences with others, and sharing what has worked for you! It has been said that the best way to be happy is to help someone else be happy, and this can be true when it comes to the info, management strategies, and thoughts on treatment that are shared in places like support groups. Not sure where to start or how to find one? The American Lung Association offers a specific COPD-based version of a support group called Better Breathers Clubs. Find a Better Breathers Club near you. How about you? What are your favorite ways to reduce or deal with stress? Please share in the comments below!